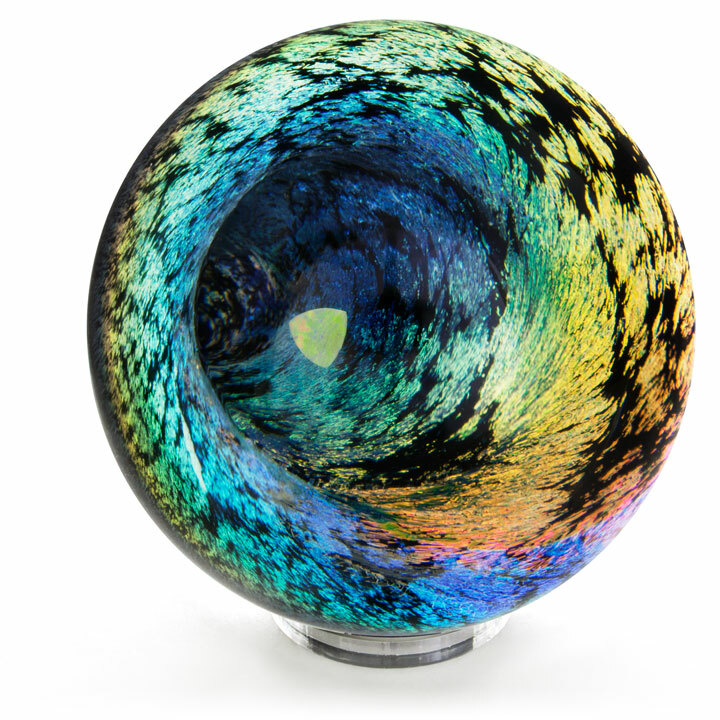 The unique glass spheres, jewelry, and sculptures, hand-crafted by Scott Pernicka, can be found in galleries and museums across the United States and are held in private collections throughout the world. Experience the beauty of glass art by supporting your galleries and museums. You may also browse through the Internal Fire Glass store and purchase Scott’s work online.